Download our expanded Tank Cathodic Protection Solutions brochure HERE, including the industry leading Tank Ring Anode System, HDD Installation for Tanks, Water Tank Anode Systems and Core Drilled Anode Systems. 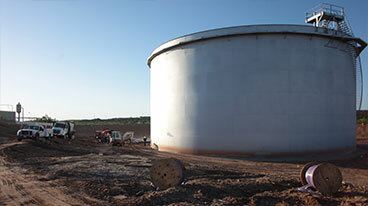 MATCOR has developed an accurate, reliable and easy to install impressed current cathodic protection system for the bottoms of above ground storage tanks (AST’s). MATCOR’s unique SPL-Anode system with patented Kynex® technology is manufactured in concentric rings and ready for installation on a specific tank. 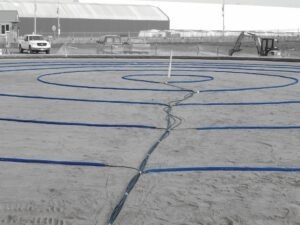 MATCOR engineers can also design and manufacture your complete tank farm cathodic protection system. There is no equal in cathodic protection. Each MATCOR Tank Ring SPL-Anode System includes the concentric rings cut to length per the MATCOR drawing. Each SPL-Anode ring includes a sufficient length of cable on both ends of each segment to reach the rectifier or junction box without splicing. Contact MATCOR engineering to size the Tank Ring SPL-Anode System for your tank. 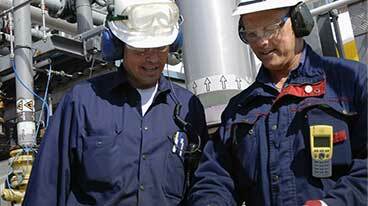 MATCOR will determine the number and length of rings, recommended reference electrodes and cable. Simply order the system quoted and a complete, easy to install tank system will be shipped to your location. Need to replace a tank bottom cathodic protection system fast? 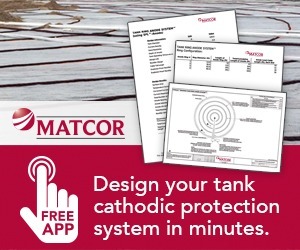 Learn about MATCOR’s Quick Ship Cathodic Protection for Tanks Program. Simply specify the MATCOR Tank Ring SPL-Anode System as designated on the MATCOR drawings produced for your project. This time-lapse video shows a 3-man crew installing one of the outer rings of a 240 ft diameter tank in just 8 minutes. No welding, hot permit, splicing of anode sections or special backfill is required. Most MATCOR Tank Ring SPL-Anode systems can be installed in less than two hours with a small crew.